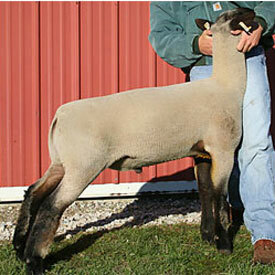 Our newest stud ram, sired by Powerball. 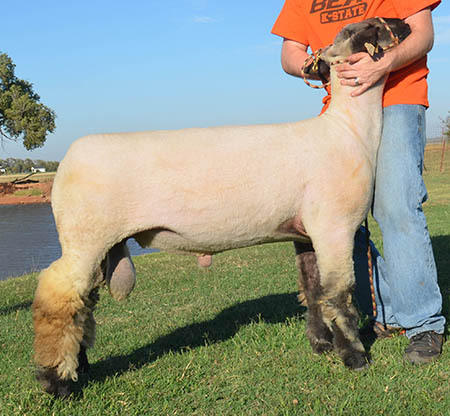 He was Ott Club Lambs keeper ram lamb last year and has already proven himself with several high placing show lambs. Being unable to find that perfect stud ram, we have decided to A.I. all of our mature ewes. Needless to say, we are looking forward to our 2015 lamb crop! 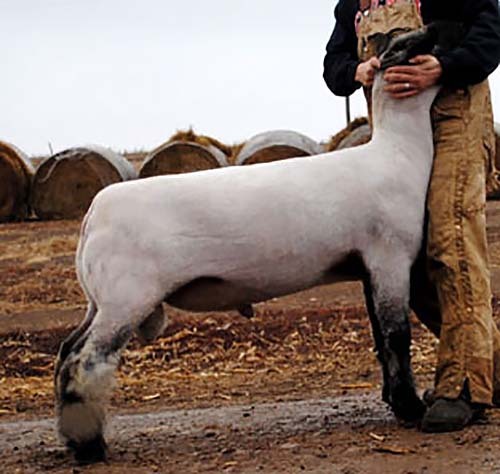 This year’s stud ram lineup should provide lambs that are structurally sound, huge topped, deep twisted and full of muscle combined with all the style and “shag” you could ever want!